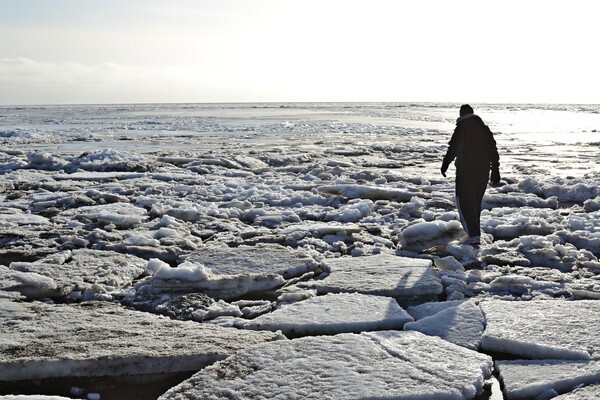 Went down to the beach for a walk earlier. 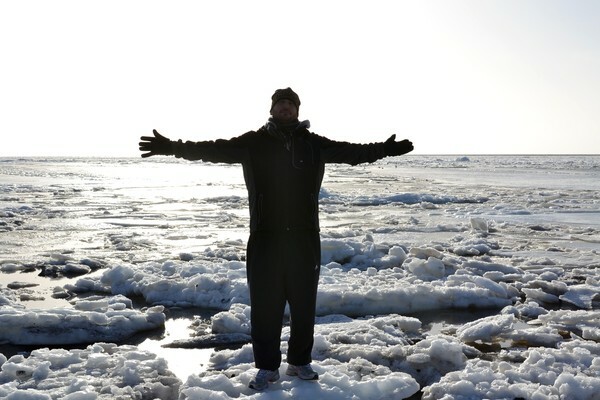 Lovely sunshine and a fozen sea made a beautiful sight. 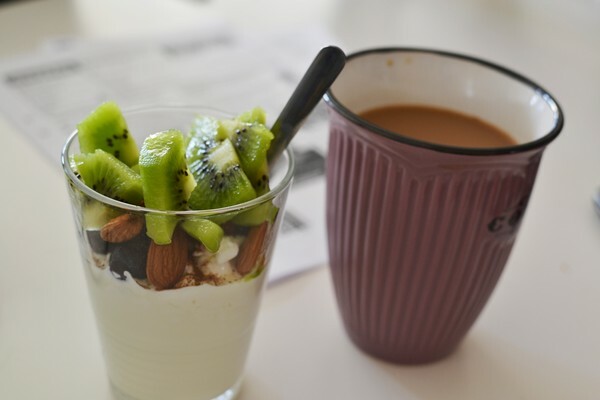 Came home just in time for afternoon snack consisting of yoghurt, cottage cheese, blueberries, almonds and kiwi fruit and a cup of coffee. Perfect! 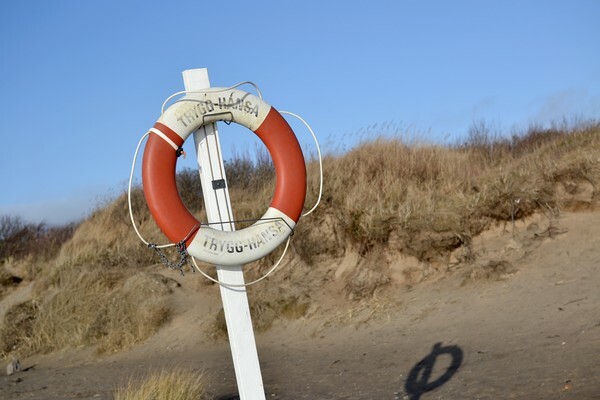 Fruset och vackert nere på stranden idag! Gott mellanmål efter promenaden bestående av yoghurt, keso, blåbär, mandel och kiwi. Och en kopp kaffe såklart. Perfektion! 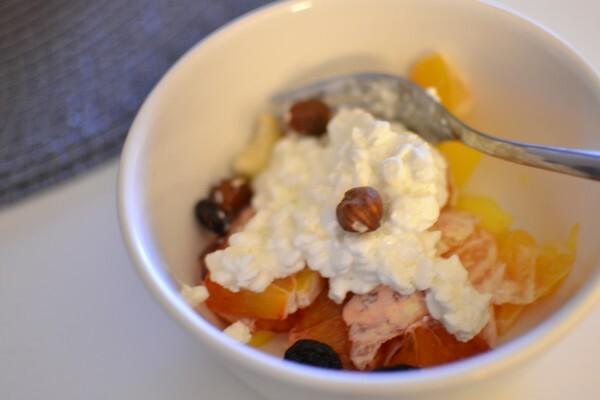 Went dancing at the gym this evening with mum and loaded up with some energy with a bowl of blood orange, mango, cottage cheese topped with some raisins and nuts. Dancing was fun, but not a very hard workout. I am planning to go to the gym tomorrow and do some leg, stomach and back strength. 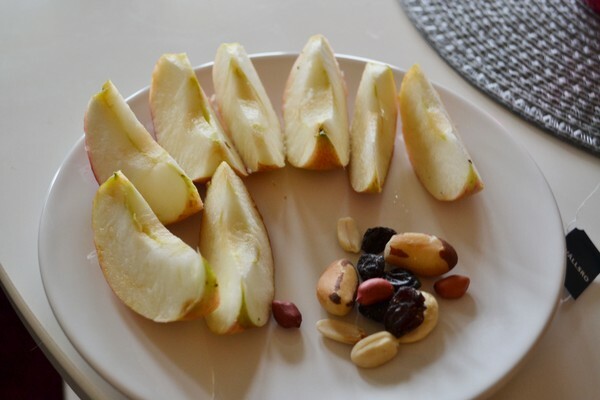 An apple, mixed nuts and raisins + herbal tea. 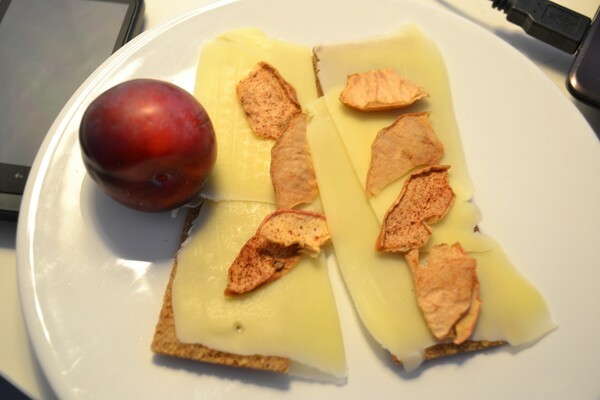 Finn Crisp with cheese and apple chips, and a plum for mid-morning snack. Not on picture is a big, nice cup of indian chai tea. It's cold today! Getting some work done, which is good. Hardly got any sleep last night, because I was stressed and frustrated about not studying well enough yesterday, so I'm taking my time and concentrating better today. 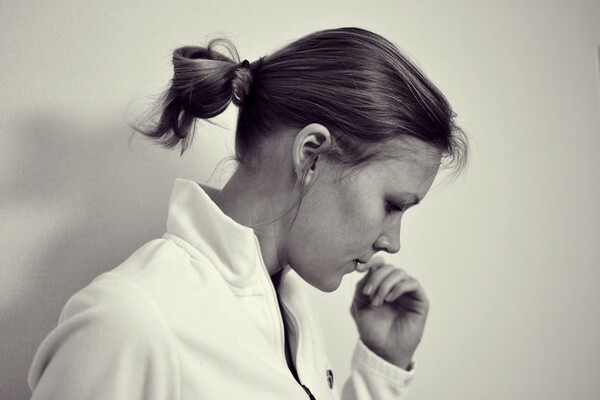 Do not want another night with restlessness! 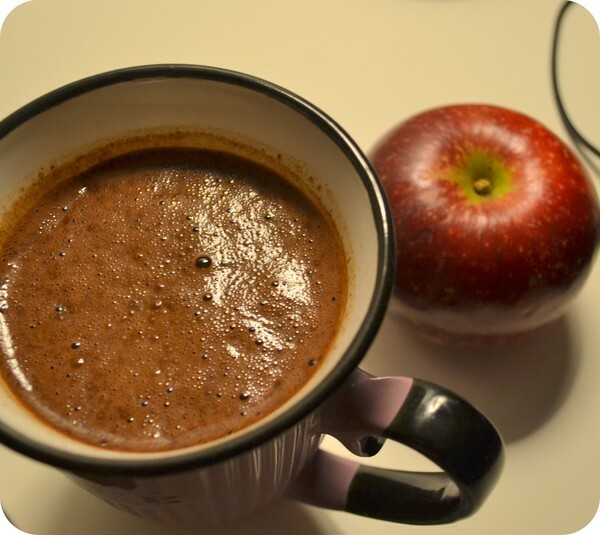 Hot chocolate and an apple for evening snack. Not been so good with studying today as I set out to be. Find it hard to stay focused at home, so tomorrow I'm going to the library to study. Easy access to books too, so all good. Just had one of my favourite snacks, to make sure I'm not too hungry when we arrive at dad's. It's probably a good idea to have a little bit of spoiled apetite when going there, since there is just soooo much good food! 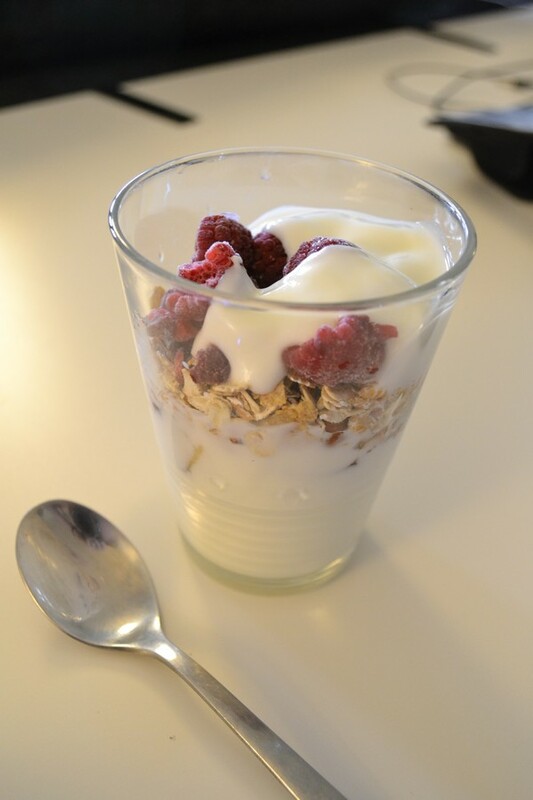 Natural yoghurt, unsweetened muesli, a diced plum, frozen berries, and hazelnuts in a small glass. Lovely and filling. 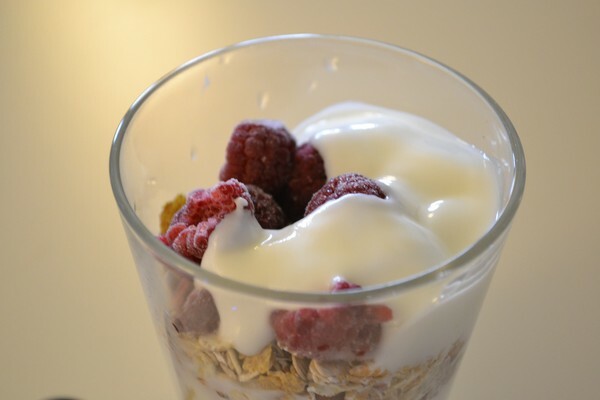 I wasn't very hungry when I came home tonight, it was late and Chris wasn't feeling too good, so I just made a quick and easy evening snack that would fill us up until bedtime. 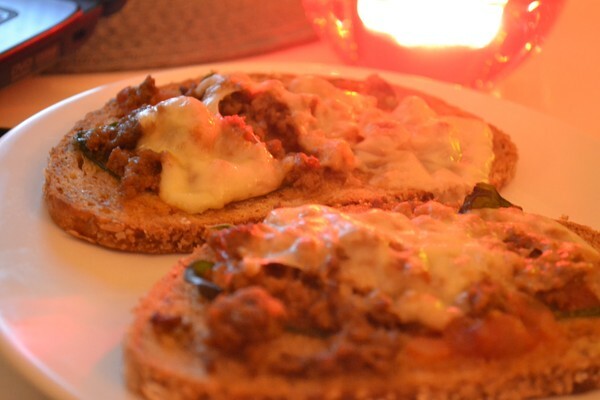 Grilled open sandwiches with spinach, salsa, taco mince and cheese on whole grain unsweetened bread. That's all the taco mince used up! I promise something else will be on the menu tomorrow ;-) I do like experimenting with leftovers though, trying to make something new and tasty each time. Now I'm really tired and ready for my pillow. I will sleep well tonight (I hope). A sweet, easy treat doesn't need to be full of sugars, fats or calories. 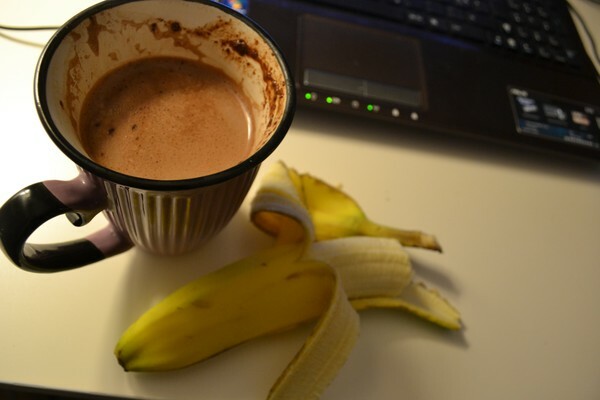 An easy way to keep my sweet tooth satisfied is by making myself (and the boyfriend) a nice cup of hot cocoa, and eating a banana. I make the cocoa by putting 2 small teaspoons of cocoa powder, 1 teaspoon of agave nectar and 1 teaspoon of milk into a cup. Stir it until it's like a paste, then add more milk (semi skimmed) while stirring it. Warm in the microwave for approximately 5 minutes. Yum! Much more chocolate flavour than the hot chocolate mixes from for example Nestlé, and the agave nectar is a much better sweetener than refined sugar. With a glycemic index of 30 (carbs and sweeteners below 60 are considered good), and sweeter taste than sugar - you don't need as much! Cocoa is also proven to be health beneficial - it is thought to improve heart health, relieves depression, contains vital minerals, is low in glycemic index and contains lots of anti-oxidants that protects your cells. However, eating cocoa in the form of milk chocolate or in sugary drinks, the health benefits are unfortunately drowned by the unhealthy consequenses of the sugars and fat. I have yet again been at work, and cooked dinner as soon as I came home, forgot to take pictures though, but it was really nice: fish with quinoa and boiled vegetables. I have been to uni all day, preparing for our dissertation, and came home about 30 minutes ago. 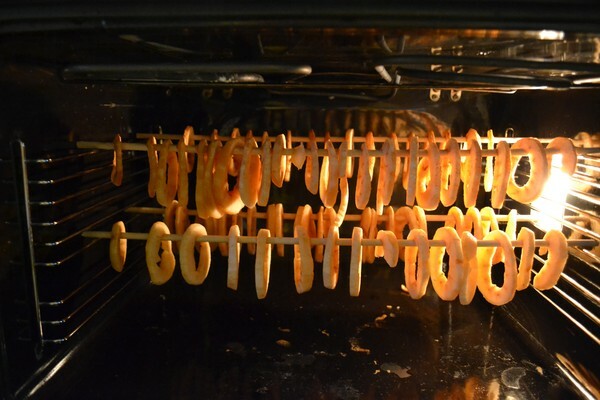 The house was smelling lovely when I stepped inside the door, because my fiancé is making apple rings in the oven! A couple of weeks ago we picked a bag full of nice juicy apples, but we haven't been able to eat them all. 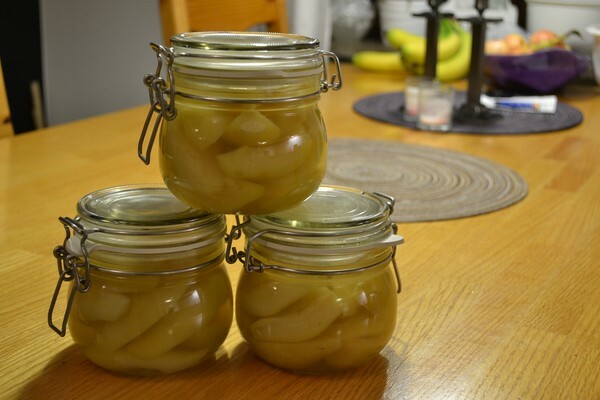 We made some apple sauce out of some, and now we are drying most of them, to use on yoghurt, in muesli, or on bread and peanut butter. Very nice. 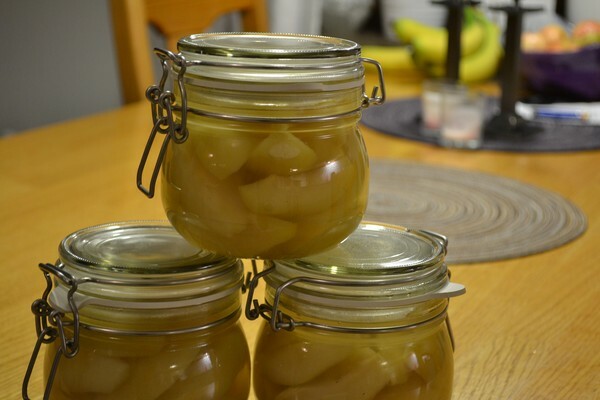 We are also planning on poaching some of the pears that we picked in my dad's garden the other week. More of that tomorrow! 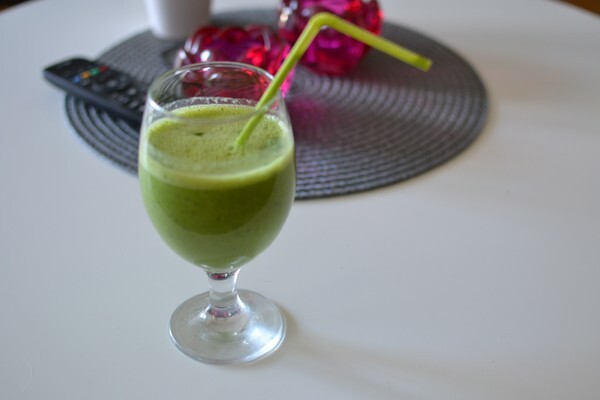 I had invited a friend over for coffee this morning, as mentioned in the post below, and wanted to bake something nice to serve with it, but still something that was healthy. I saw this recipe and thought it would be a good idea to do something similar. My recipe turned out to be more like muffins, and I decided to go with a more "cake" like topping of whipped cream (20%). Put the oven at 175 degrees Celsius. Mix everything together with a rod mixer and portion in an oiled muffintray. Bake in the oven for approximately 20-25 minutes. This was so quick and easy to make, and at the same time not too bad for you. Using agave nectar instead of sugar and using oats, dinkel and rye instead of wheat flour keeps the blood sugar level more steady. 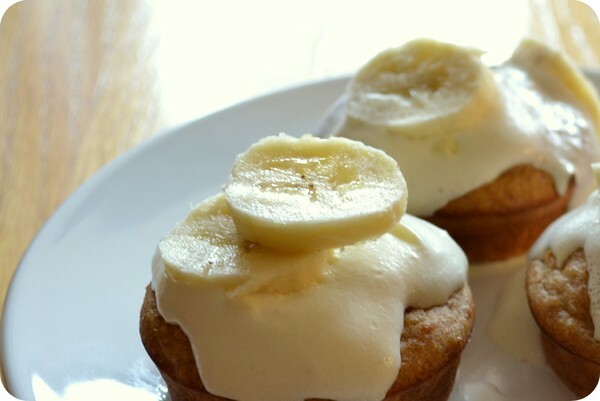 Bananas are great for sweetness too. Quark instead of butter takes fat content down alot and still provides nice moisture to the cake. Yay, here comes the recipe for the muffins we had for our breakfast this morning! 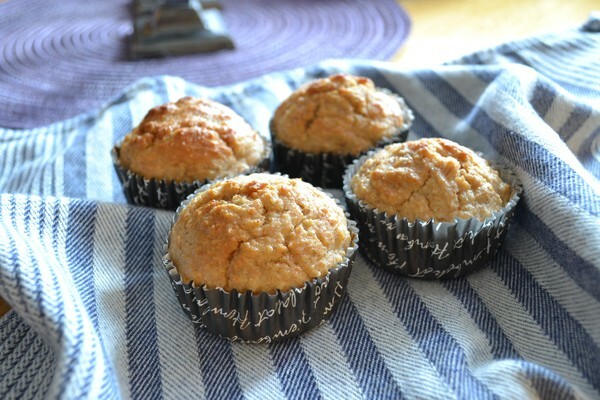 These are yummy, low-calorie, sort of savory/sweet muffins that work as breakfast bread as well as a snack with your afternoon coffee/tea. I found the recipe at pinterest, made a few little changes and voila! Preheat the oven to 200 degrees Celsius. Spray muffin pan with cooking spray (<- DO this, I used paper as you can see on the picture, and the muffins are really stuck to it).Combine the oats with the applesauce and egg whites, and mix until combined. In a separate bowl, whisk dry ingredients (except the cinnamon and sugar) together. 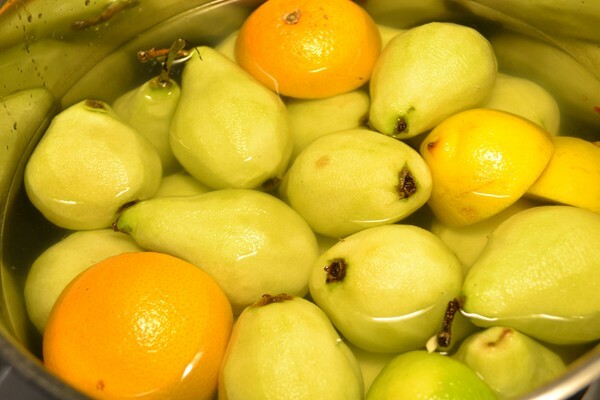 Add wet ingredients to dry and mix until just combined. Add nuts or raisins if desired. Do not over mix the batter or the muffins will be tough. Spoon muffin mixture into muffin pan. Combine the cinnamon and sugar and top each muffin with some of the mixture. Bake for 20-25 minutes or until done. 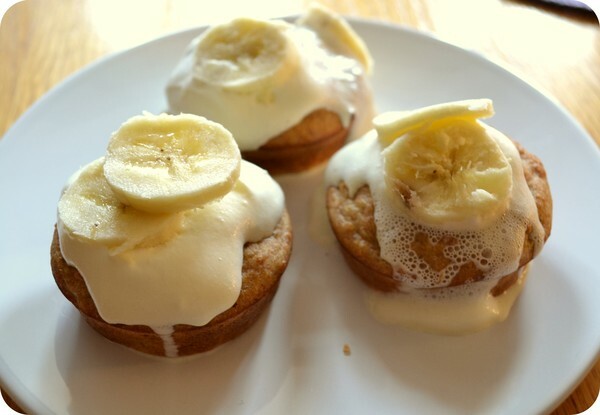 These can also be frozen and reheated in the microwave for a quick breakfast. Each muffin contain approximately 80-90 calories.